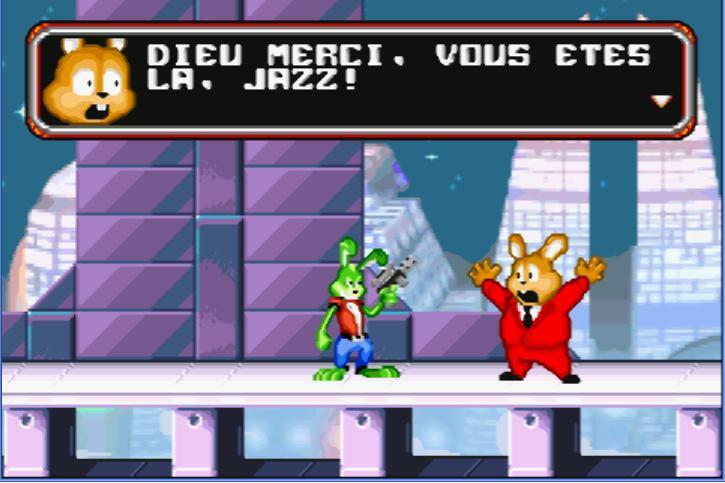 Jazz Jackrabbit is an action game for the Game Boy Advance. 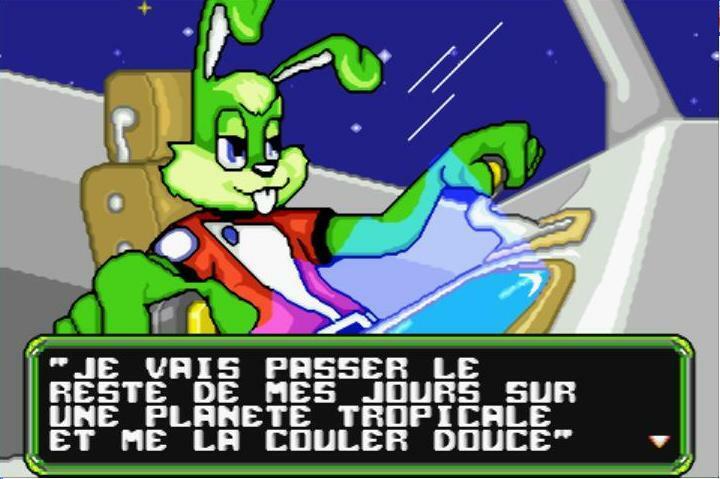 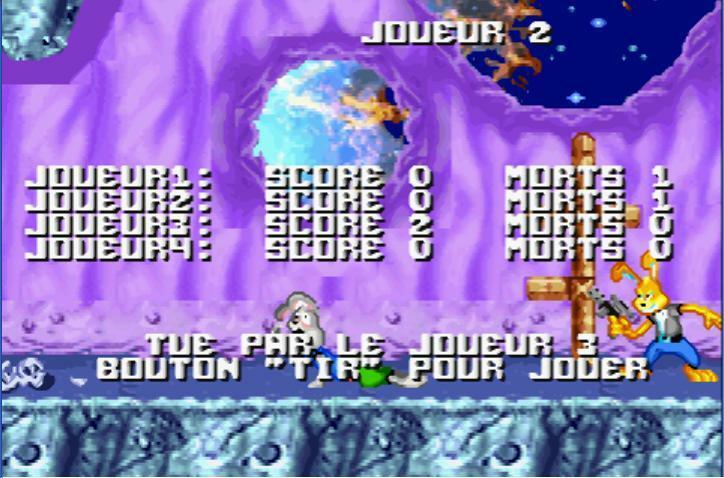 The French translation of the game. 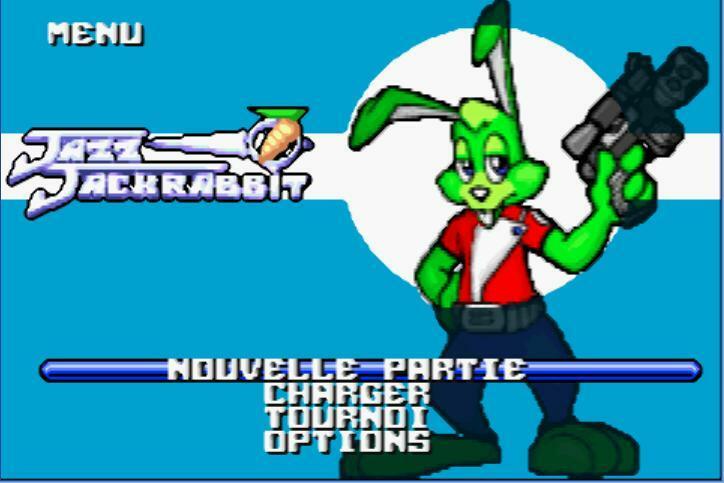 Everything has been translated excepted one graphic in the options menu.